Built under a sheltering canopy of mature live oak trees, this 5400 sq. ft. residence sits on a flat lot in a gated community in Wesley Chapel, Florida. Its architecture, deeply rooted in the past, takes cues from the Federal style. 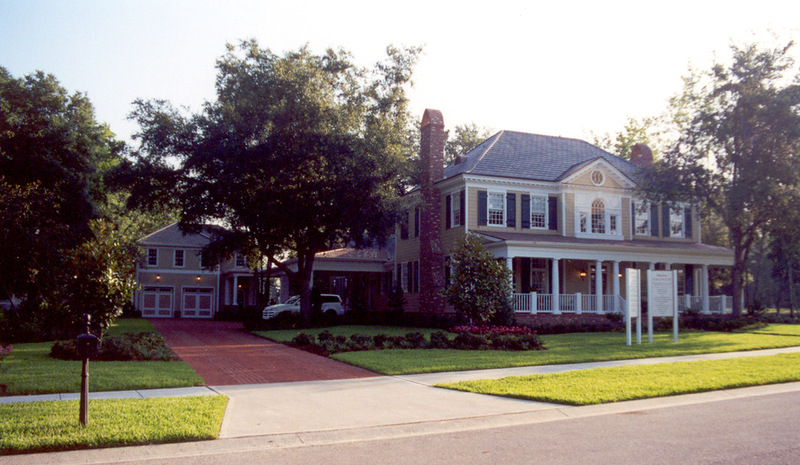 Carriage Park was the Southern Living 2001 Gulf Coast Idea House.